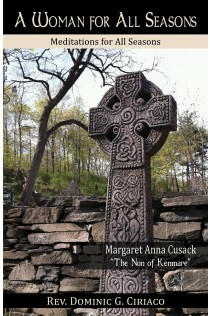 Margaret Anna Cusack was a nun, tireless advocate for the poor, visionary, and foundress of a religious order. She was edifying and mystifying to those who knew her. Cusack is an example of what it meant to be a convert in the 19th century. A Woman for All Seasons combines Fr. Ciriaco’s reflections on Cusack’s life with a collection of her own reflections, to help you pray throughout the liturgical seasons. She wrote these reflections for the liturgical year when she was the Nun of Kenmare. Here, you will come in contact with the soul of Margaret Anna Cusack, as she leads you closer to Christ.